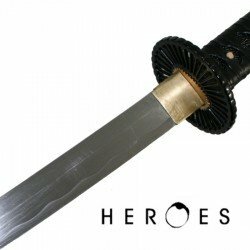 These are Hand forged swords, they are sharp and can be used. 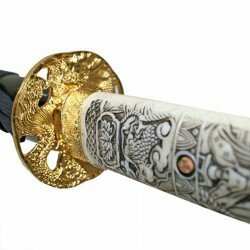 A wooden, handmade, curved sword. 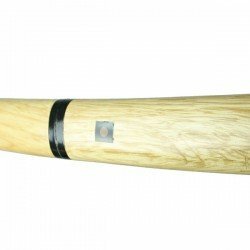 The wood is a light colour with a glossy finish. 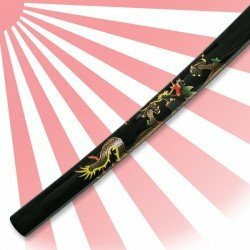 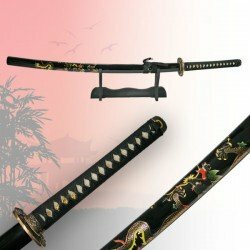 Two distinct dotted markings are visible on both sides of the handle.Total Length: 1038mm / 40.87 inches ​ Blade Length: 678mm / 26.69 inches..
A handmade sword (total length 40.5") with 28" medium carbon steel blade and full colour Eastern Dragon on sheath. 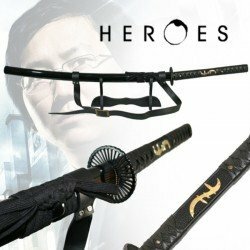 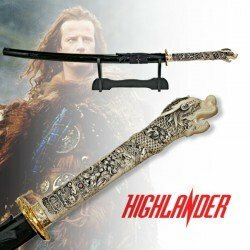 Complete with cloth case and stand..
A nice replica of the Katana Sword used by the immortal Connor Macleod in the Highlander Movies.Total Length: 1060mm / 41.7 inches ​ Blade Length: 675mm / 26.6 inches..
Hiro Nakamura's sword from the classic TV series, 'Heroes'. 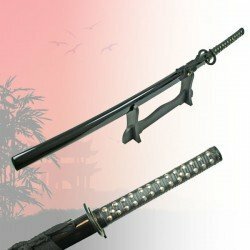 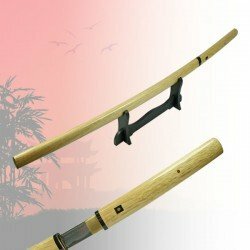 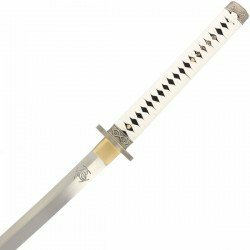 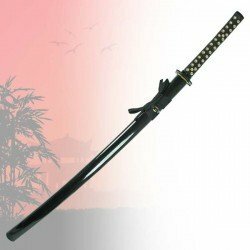 Complete with adjustable carry strap and a long handle with the series logo on the blade.Total Length: 1100mm / 43,3 inches ​ Blade Length: 607mm / 23.9 inches..
A unique sword with a studded handle and an 'S' shaped tsuba. 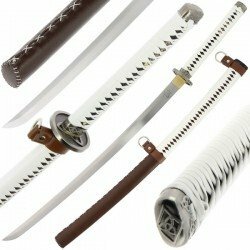 Ideal for sword collectors looking for a piece to stand out.Total Length: 1017mm / 40.04 inches ​ Blade Length: 693mm / 27.28 inches..
A stunning 'Walking Dead' handmade replica sword and cloth case.Total Length: 1040mm / 40.94 inches ​ Blade Length: 676mm / 26.61 inches..